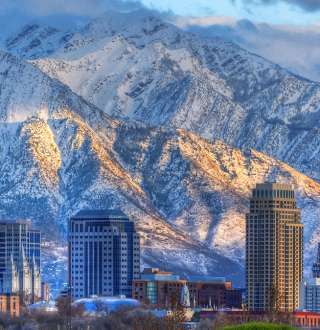 Salt Lake&apos;s compact convention district makes it easy and quick for your attendees and you to get everything you need. Ross Mirmestein, Director of Meetings for the National Sherrifs&apos; Association put it best when he said, "When it comes to hotel accommodations, Salt Lake offers everything a meeting planner could ask for. The convention package is compact, all within blocks of the convention center and offers a variety from five-diamond to budget-conscious properties, which really helps to accommodate all attendees. And having so many rooms within an easy walk of the convention center makes typical transportation hassles a non-issue." And it&apos;s not just hotels that are within easy distance of the convention center; the downtown convention district abounds with restaurants, nightlife, and shopping. The Convention Center is next door to the City Creek Center, Salt Lake&apos;s premier shopping destination, and a short walk from the Gateway. If you prefer not to walk, six trax stops (all within the "free fare zone") provide quick transportation to destinations within the downtown area, or as far away as the University of Utah, South Valley, West Valley, or the Airport, which makes getting in and out of town a breeze.